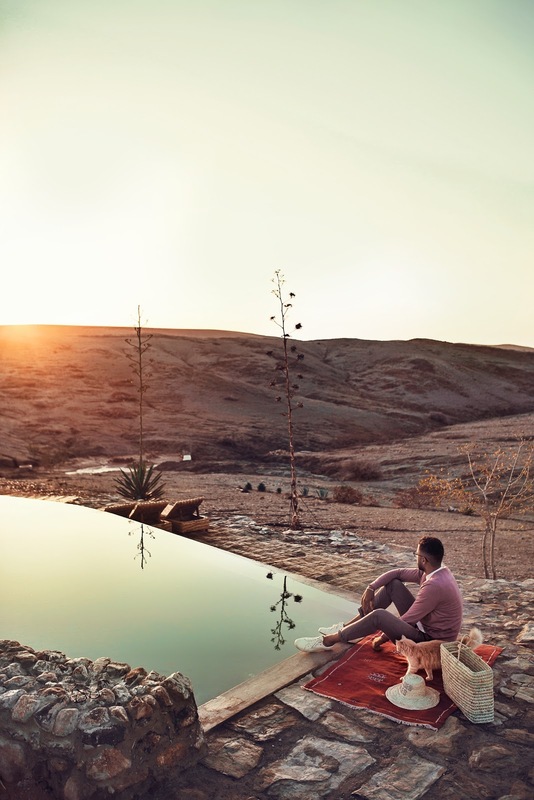 Iam going to write to you today about my experience at the beautiful Camp lodge - Terre des etoiles- which is a Audacious project nestled in the heart of the arid lands of Agafay, Terre des Etoiles offers visitors the experience of the desert otherwise. It is under tent, combining tradition and modernity, that in all privacy, they enjoy a stay of the most rejuvenating. 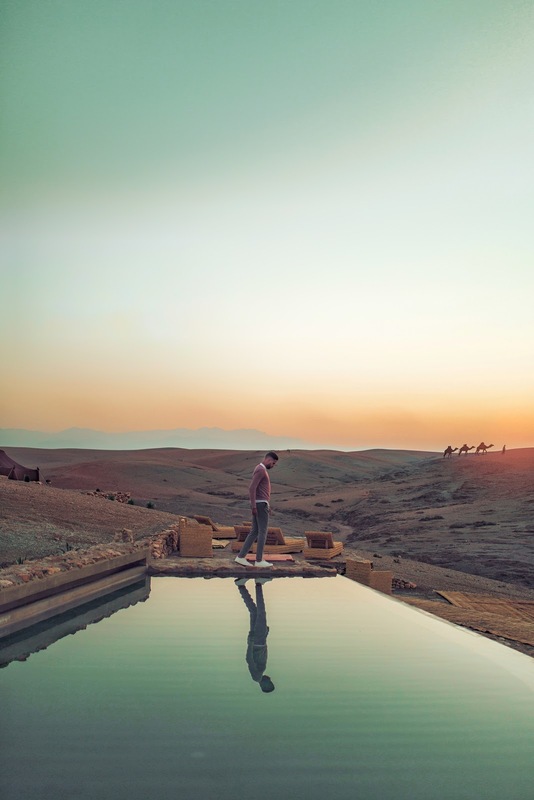 the stay is great love the warm tents with the Moroccan touch and textures and it also had everything even shower, I also loved the food there they serve Moroccan tagines and couscous with vegetables so it not a problem if you are a vegetarian. 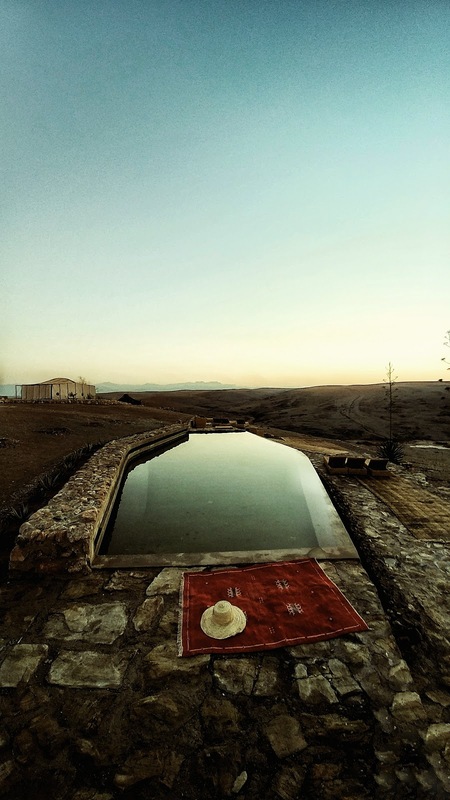 The relaxing swimming pool is absolutely my favorite part of the location especially at sunset time with a Moroccan min tea when you are gonna meet my friend from there, Yes the beautifull cat that you are gonna see in the next picture, she likes to play and move a lot which is so adorable. Truly it is a place that you must visit and better to spend the night there with all the charm of love there.